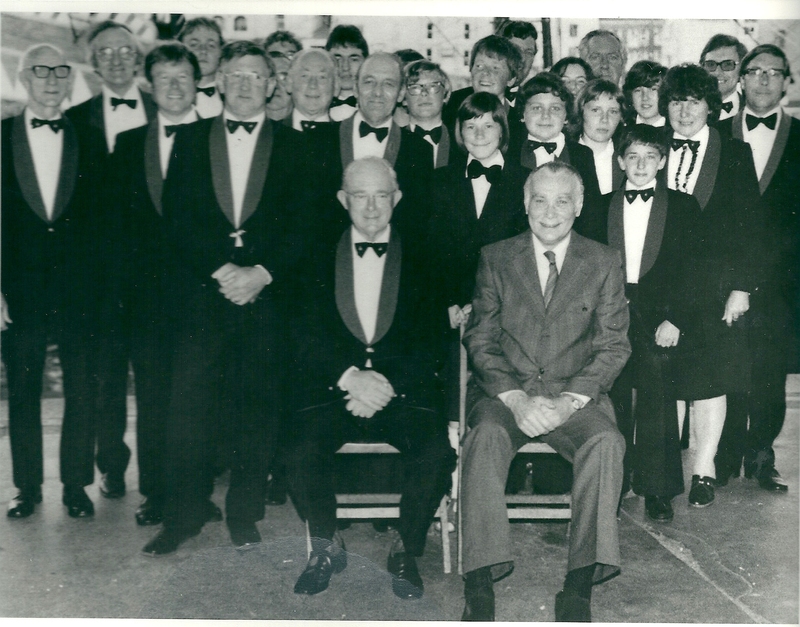 At the AGM in 1980 we were sorry to receive resignation of John Pope through illness, he was an excellent Musical Director. Mr Duggie Hutchings was again asked to take the baton with Lionel Tatton and Sam Little in support. lt was early May in 1980 when we lost another four musicians through having to leave the area to attend college and University, but we soldiered on and did several charity concerts, including two at the Brixham Theatre. This same year we lost one of our very supportive Vice Presidéints. Mr Gordon Hodges was held in high esteem both locally and nationally in the Royal British Legion. Mr Sam Little took over again as Youth Band Leader with the help of a few senior members. A new set of drums were purchased and the band started marching again, although it was hard work. Marching along and playing an instrument at the same time takes a lot of skill and concentration. Not only do the instruments seem to jump up and down but one has to read the music, march in a straight line and keep equal distance between players. We were now beginning to reap the benefits of having a Youth Band in support as we had lost a few musicians this year mostly from the cornet section. During 1981 we gave concerts at Torquay Town Hall and Oldway Mansion a lovely venue to perform in. ln 1982 another founder member of 1948 passed away. Mr Bob Loram l hardly missed a rehearsal or concert during his unstinting service to the l band. He was originally a brilliant cornetist who had served in the Royal Marines during the war. He changed to playing the Bb Bass in later years. Bob had held posts of Secretary. Assistant Bandmaster, Treasurer and Librarian during his long service to the band. lt was during 1982 that a Mr Bill Wallace passed away he had been Vice President for many years. Until recently we had kept our chairs and equipment for our Quay concerts at various places such as Ernie Cudds store and the Rising Sun Pub run by Mr and Mrs George Shepherd all of whom were very supportive to the band. We now had the offer to store our band equipment at the Brixham Aquarium through the great kindness of Mrs Silley who was the owner of the premises. We still use it to this day. lt is right opposite the fish market where we perform our summer concerts and we are extremely grateful to Mrs Silley for this facility. ln 1983 a Mr Jim Davis agreed to being our President. He was very interested in the band and rarely missed a concert or even rehearsal. Mr Alf Vincent and his wife had just retired because of failing health problems. They had given many hours of support to the band for many years. 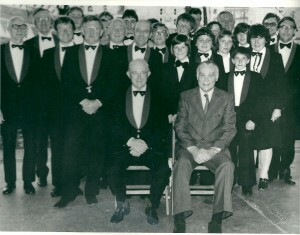 Lionel Tatton again took the baton so that Duggie Hutchings could lead the cornet section once more. This shows dedication to the band when someone of his calibre and ability does this for the well being of the band. lt is also a boon to have versatile players that are willing to move from one section to another. One such person was David Philips (our MD at this time) who shortly had to move from the area because of work commitments. He was also our Vice Chairman at the time. 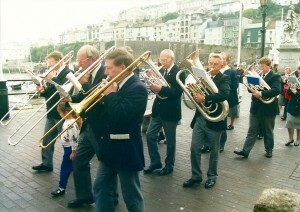 During 1985 the band performed 21 concerts at the quayside and 21 engagements such as the 40th anniversary of “D Day”, Remembrance services, Royal British Legion Rally at Lympstone, summer concert at Ugbrooke House for the R.B.L., Brixham Carnival, O.A.P’s concert, as well as Stover Polish Camp, Chesire Home, St. Kildas old peoples home, Mencap, Brixham Hospital, Soroptimists, Rugby Club, Police Club and so on. Rather a busy year you might say but there was more to come and even the Youth Band, led by Sam Little became very busy. ln 1986 Eric Jordain resigned a s Chairman after many years in the position. Duggie Hutchings took over the chair and Sam Little became Vice chairman. The lovely lady collectors had a record year that year, during our 25 performances on the quay. The youth Band had a very good following that year, sometimes there was as many as 50 at rehearsals including senior members who helped to train recruits. The Senior band decided on new uniforms this year but it was to be ordinary navy Blue blazers with the badge of the Royal British Legion, and Grey trousers, with skirts for the ladies. Also the grey R.B.L. tie was worn. Although this uniform was simple it; was in keeping with the R.B.L. colours and was also easy to replace or add to. The cost of uniforms for the whole band at the time was £1,399.75 and were to be used until 1996. David Philips returned to work close to home and we welcomed him back, because the cornet section consisted mainly of younger players who, although doing well were not experienced. lt was a great disappointment to the band when in 1988 Duggie Hutchinfgs resigned from the band. He felt that he wasn’t receiving the full commitment from a few younger members. Every band has a few ups and downs and unless everyone supports the band as much as possible something has to deteriorate a little. So this was one of our less popular times. Lionel Tatton once more took over the Baton and we soldiered on.